C. van Kooten and J. Banchereau, CD40-CD40 Ligand: A Multifunctional Receptor-Ligand Pair. J. Stavnezer, Antibody Class Switching. L.M. Karnitz and R.T. Abraham, Interleukin-2 Receptor Signaling Mechanisms. M.K. Liszewski, T.C. Farries, D.M. Lublin, I.A. Rooney, and J.P. Atkinson, Control of the Complement System. K. Schwarz and C.R. Bartram, V(D)J Recombination Pathology. V. Steimle, W. Reith, and B. Mach, Major Histocompatibility Complex Class II Deficiency: A Disease of Gene Regulation. I. Aebischer and B.M. Stadler, TH1-TH2 Cells in Allergic Responses: At the Limits of a Concept. Chapter References. Subject Index. Contents of Recent Volumes. 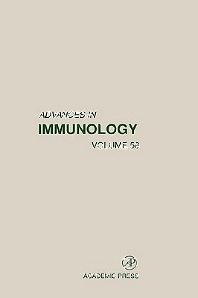 Researchers and graduate students in immunology, cell and molecular biology, and toxicology.